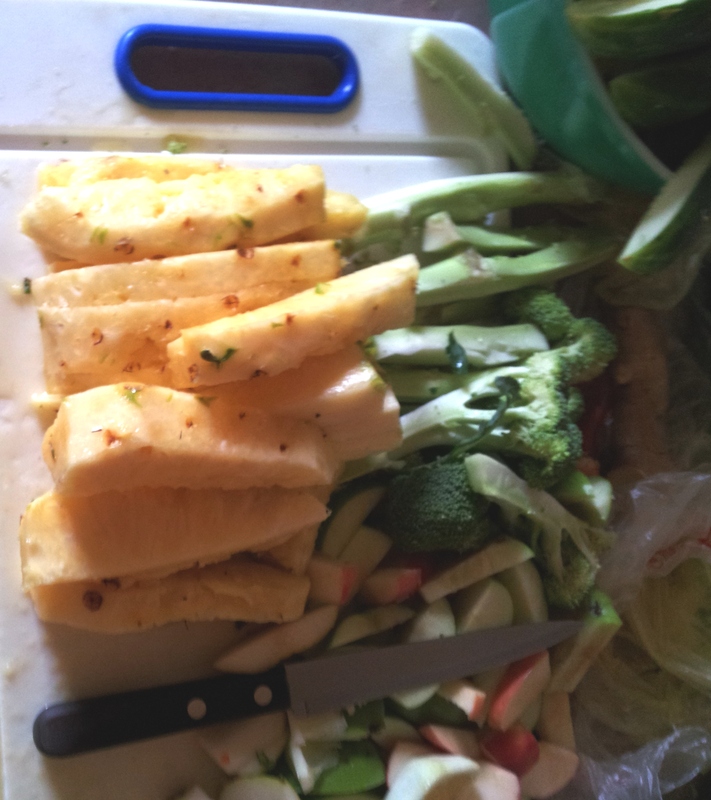 Fruit & veggies before the cutting happens. My son turns 24 tomorrow, however he gave me a pre-birthday gift. 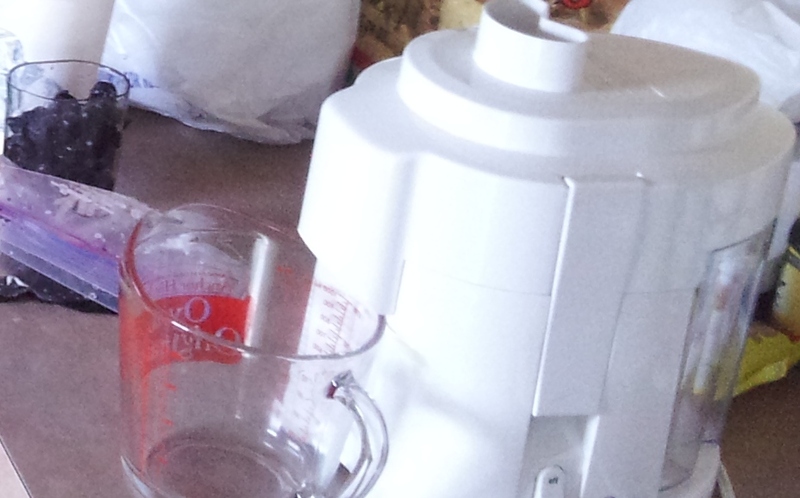 Over the past two days he taught me about juicing. 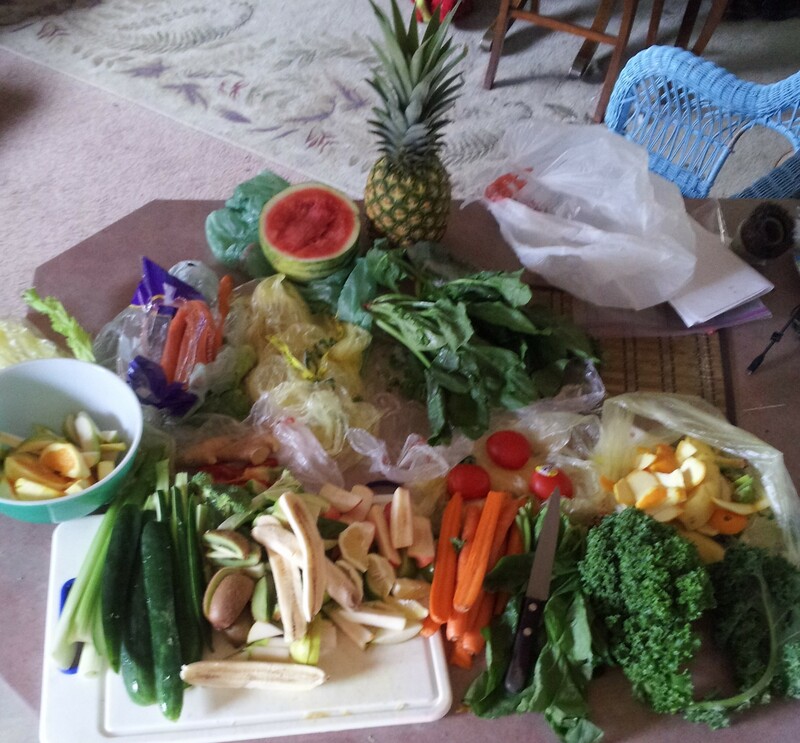 We shopped for delicious fruits and veggies, then he gave me and my neighbor juicing lessons. He showed us the how of it, while explaining the why of each ingredient. He made us 3 different juices yesterday and one today. It is a lot of work, but it is enjoyable work that results in a healthy and (usually) tasty juice. We liked them all, but Jon said that a lot of people don’t like the green one. It is heart healthy with lots of kale and other green veggies in it. Now, he’s on his way home and our juice chef is gone! I’m still working on the one he made us a batch of, but tomorrow, I’m on my own; just me and the veggies and the juicer. I’m planning on one a day until I get the hang of it and make it a routine. Categories: LOVE Family & Friends | Tags: fruit, health, juicing, veggies | Permalink. Be careful with the sugar spikes you get from juicing. 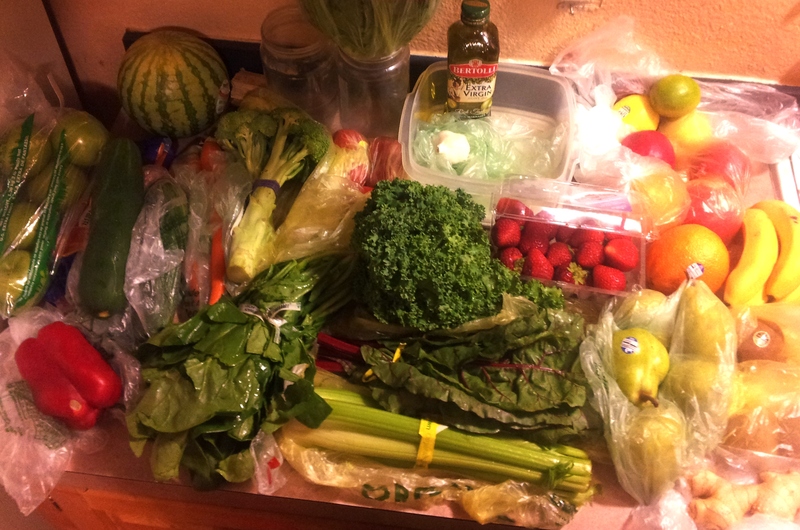 I’m starting one or two a day, which is a million times more fruit & veggies than I normally have. I just don’t eat much and this will give me most of the good stuff fairly easily. It is a million more times fruit and veggies than the human body was designed for. Sip it slowly over the day and don’t guzzle. It just isn’t natural for the pancreas handle so much at once. See, I’m glad you said that. I will go do some research. Thanks again for the heads up. Do you have any place in particular I can get more good advise? The bolus of sugar, the concentration of pesticides, and the lack of fiber are the biggest problems with juicing. Even organics have some pesticide content. The pros and cons are all over the internet. I am not opposed to safe juice consumption. (small doses), but I don’t think it is healthy for replacement of the foods we are naturally designed to consume. Okay, I hear you. I appreciate this and will pass it on to Jon. He was taught to take the outside off of porous skins and to wash the others. So i will look further into that too. Thanks again! I don’t have it…most of them have kale in them…still getting more info. Our friend, SKNicholls let me know that we need to be careful w/juicing, so I’m doing more research. Yum! I make a green smoothie every morning – banana, flax seed, protein powder, tumeric, and lots of greens. Yum! ENJOY! !